If you happen to be one of the lucky ones living in a climate that includes Winter, then you’ll be excited about these items. You can’t have a lot of fun in the snow without the right gadgets to maximize your level of enjoyment. These are not toys, either. This list features tools that will help you get an edge on anyone else spending time in the snow with you. Because, after all, if you are going to go to the effort to bundle up to stay reasonably warm out there, you need a reason to have some fun. So, with that in mind and no clear direction, here are our favourite reasons. 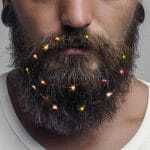 This is one of those winter themed things that will truly allow you to venture off into the wild side. 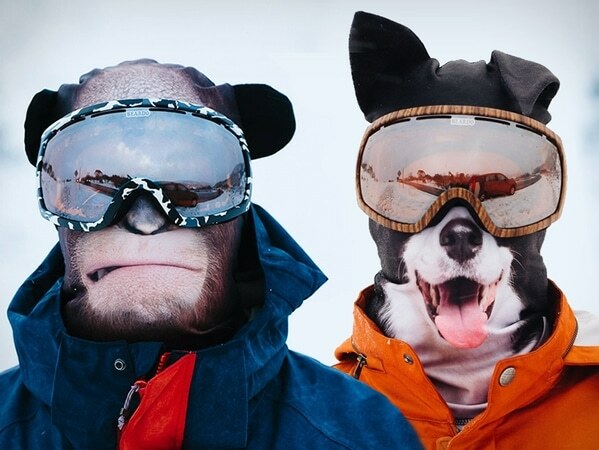 The full face masks are not only warm and comfortable, they feature HD faces of different animals. Feel like preying on the little kid next door? 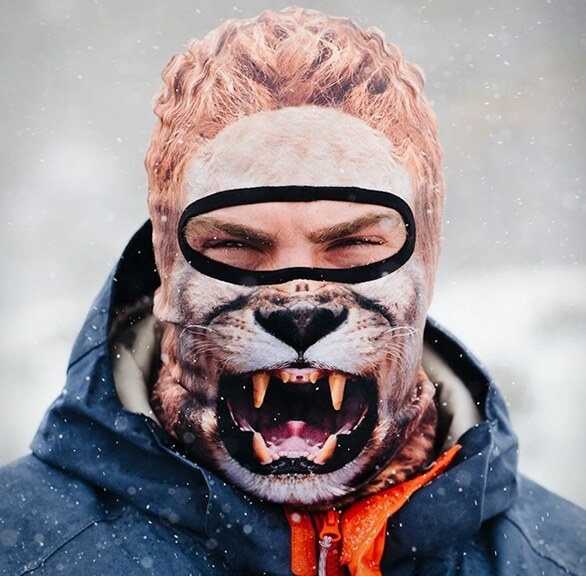 This animal ski mask will do! Feel like going for a quick slide on the slopes or a nearby snow bank? 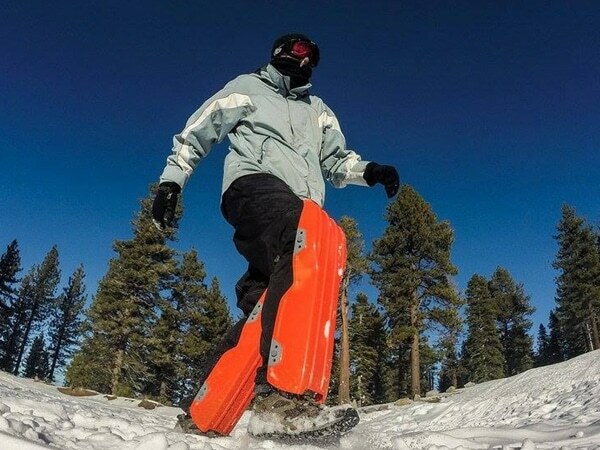 When you dress for the weather and include these Wearable Snow Sleds, you are ready for anything that comes your way. Take a break while clearing your driveway or just send the kids outside to find something to do without their handheld devices. Slip these on and you can slide your way through winter without a hurdle to slow you down! What’s the point of throwing all your snowballs manually when you have modern technology at your beck and call? We thought the same thing when we first set eyes on this product. No more sore shoulders, arms or any other aching muscles. 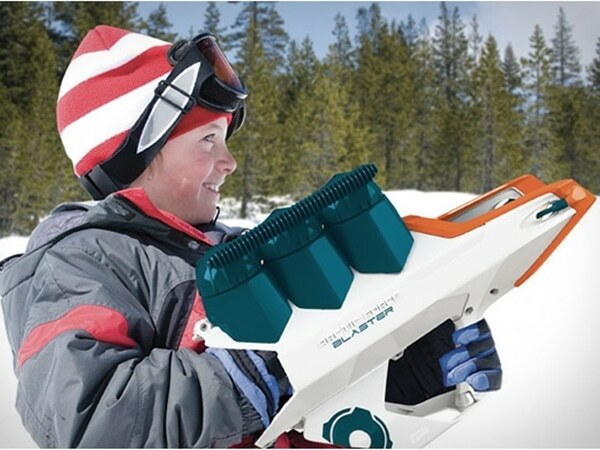 With the Snowball Blaster you get the job done without wearing yourself out. It will help you win snow fort fights and give you a tool that will command respect on the street! 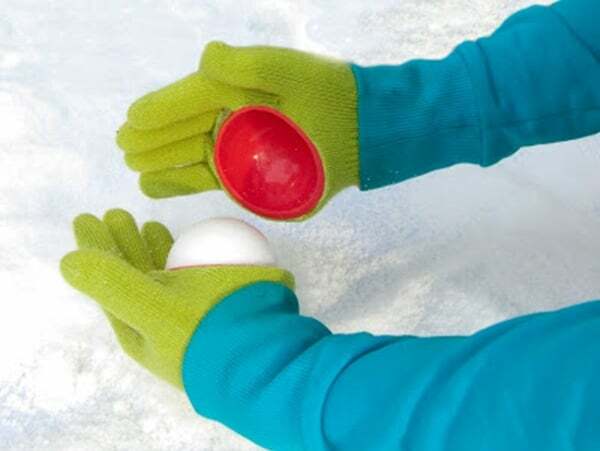 There is nothing worse during the winter than to lose a snowball fight because of the quality of your ammunition. Sure, you may think that it is easy to just grab some snow and pack it into a round object but when it counts, you need good quality ammo. 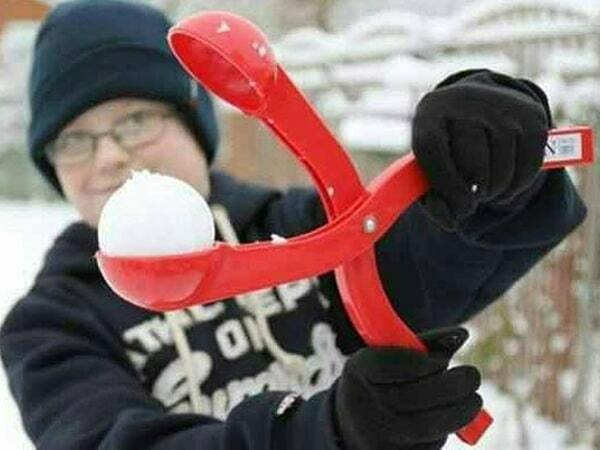 The Perfect Snowball Maker does a perfect job each and every time. Just scoop, clamp together and presto! You will have exactly the type of snowball that wins battles! There is nothing that says you have to build your snow fort any particular way. However, when you employ these various molds and tools, not only will your snow fort look great, it’ll be strong and sturdy. 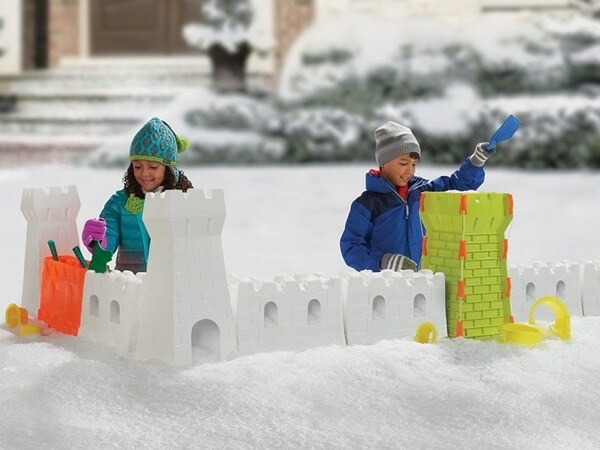 The Snow Fort Building Set will make your winter construction jobs easy! You could just lob a snowball into enemy territory blindly with hopes of hitting something or you could just terminate the opposition. 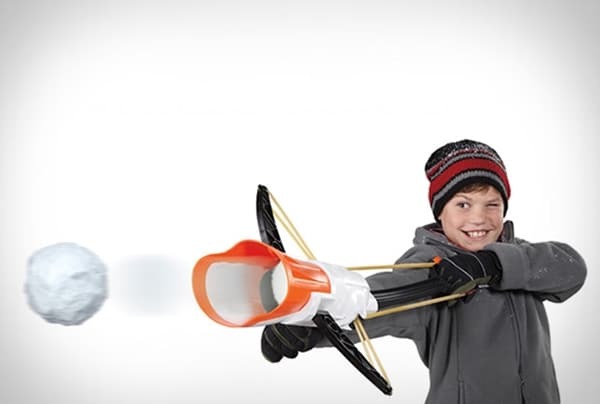 This Crossbow Snow Launcher means business and will get you the respect you deserve. Sail one of these on target and you’ll win every time! Wouldn’t it be cool if all you had to do was reach into a pile of snow and you could instantly come out with a perfectly formed snowball? Well, that’s exactly what happens when you wear these Snowball Making Gloves. The built in round forms do all the work for you!